This blog post is the fourth in a series we are sharing on the “YPN Success Tips,” best practices shared by our Illinois Young Professionals Network (YPN) to help jump-start the year. As you begin your real estate career, finding a mentor is important for success. How did Eddie find his mentor? “Through a lot of trial and error to be honest.” says Eddie. With 17 years in the business, Eddie has now moved into leadership roles at his local association. Being actively involved at the local and state level has led him to have mentors across the state. Guidance. A mentor can give direction when the business can pull you in a hundred different directions. Confidence. A trusted advisor has your best interests in mind, offers support and encouragement. Resource. You might not know all the answers from the beginning, so a mentor can help you with the answers or know where to find them. Accountability. A mentor can keep you on track with your short-term and long-term goals. 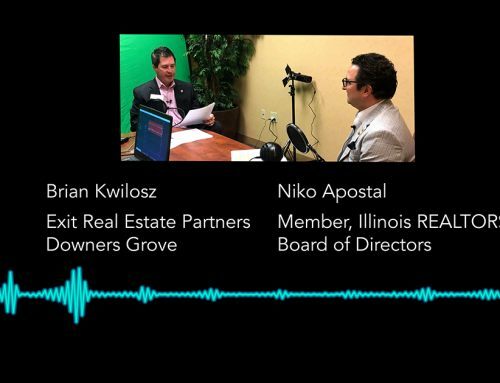 Learn more in our Illinois REALTORS® YPN Success Tips download or by listening to the podcast version. And you can learn more about YPN by visiting the Illinois YPN page on the Illinois REALTORS® website and connect with us on Facebook @IllinoisYPN.